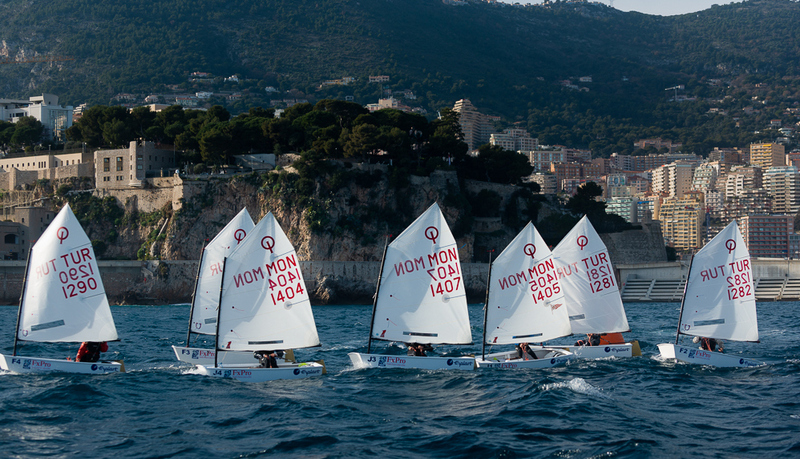 64 sailors – 16 nations from four continents – 124 matches in a closely-fought 10th edition of the Monaco Optimist Team Race. Finalists last year, the Turkish team again booked their ticket for the finals. They faced the Monegasques who created the surprise of the event with a young team not very experienced in the highly tactical skills required for team racing. It was a close-run finish between the two with victory going to the Turkish team (2-1) after the Monegasques won the first race. The combative Swedish and American teams shared third place. For a decade the Yacht Club de Monaco has hosted an original team race contest for under-14 sailors from all over the world. In the final the Monegasques won the first race, but the Turkish team came back strongly to take a 2 to 1 victory.